A friend pointed me earlier to a site dedicated to analogue audio tape cassette nostalgia, tapedeck.org. It’s a simple kind of site, just rows and rows of cassette tapes of all ages. A happy half-hour or so was spent, remembering the various designs of tape cassette I used to buy. 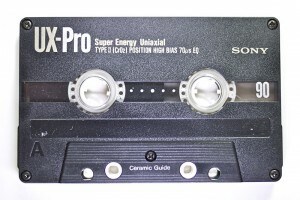 I also spent a while remembering when it was the thing to do to make your own mix-tapes by carefully selecting your favourite album tracks from vinyl LPs, arranging and timing them nicely to fit into a complete side of a C90 without leaving a massive gap at the end. 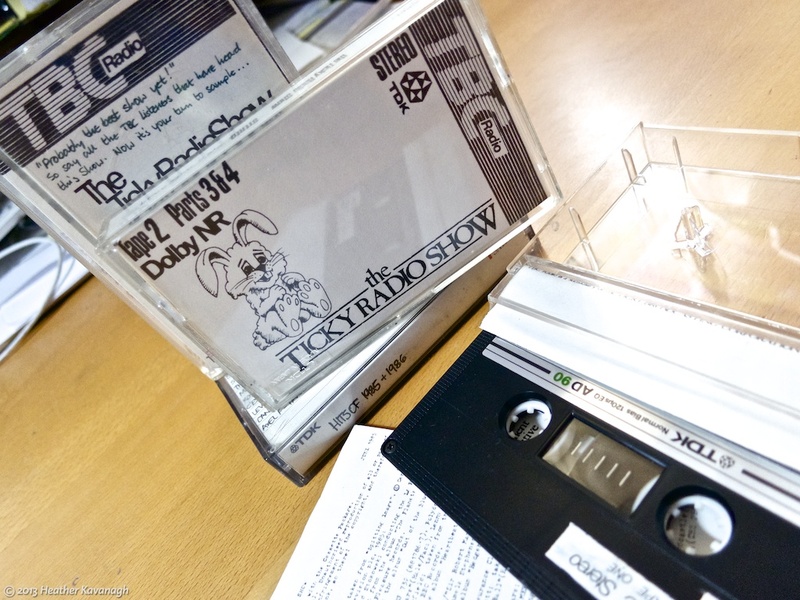 My preferred tape supplier was TDK. Indeed, I still have two AR-X90 cassettes in their unopened shrink wrap. Why, then, are the photos I’ve provided of Sony tapes? Well, before computers became fast enough, affordable enough and reliable enough to be audio/video recording devices, I used to mix and edit audio on reel-to-reel tape. Eventually, I moved to a multitrack cassette recorder—the kind of thing innumerable amateur groups used to record their demo tapes on in back bedrooms the country over, before sending them off to John Peel in the hope they would get a brief airing on his late night show on Radio 1. I wasn’t into making my own music, though. I preferred mucking about with sound effects and noises of various kinds. 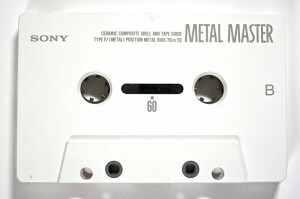 The epitome of audio cassette-dom, then, were the Sony Metal Master jobbies. 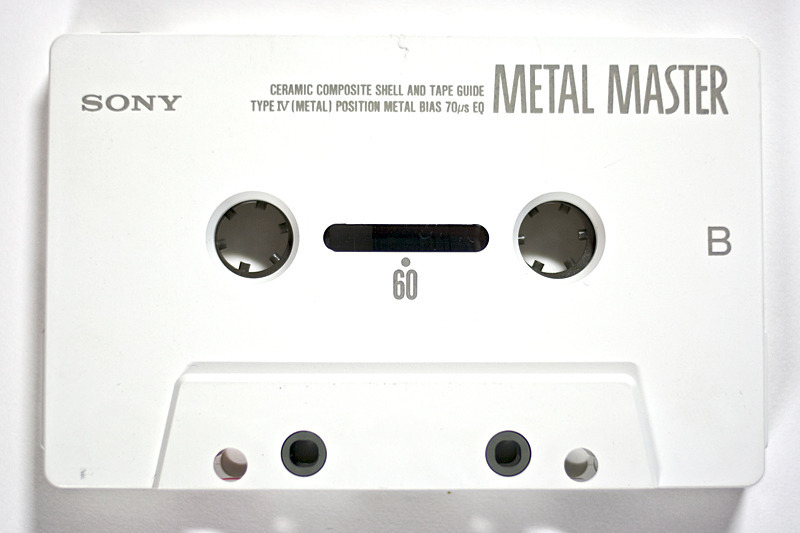 Eschewing the rather common plastic shell, the Metal Masters used a ceramic composite for the shell and tape guide, in order to “provide the best possible sound quality”. The extra weight stopped the shell from vibrating in the recorder mechanism, and theoretically lowered the consequent tape flutter and so on. We only owned one such tape, probably because the darned things were really expensive compared to the bog standard TDKs I used. 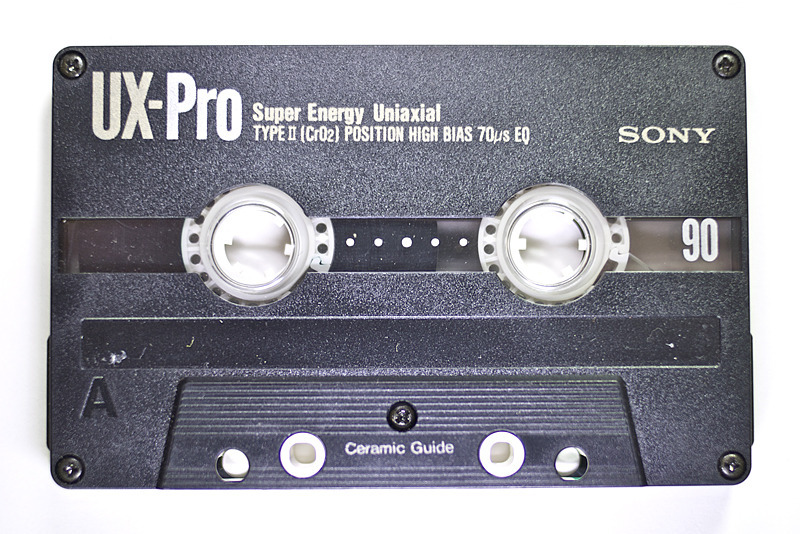 We used this one tape for some audio track mixing for some video work, if I remember correctly. I couldn’t tell you whether it was successful or not, because it wasn’t long before we went digital—I bought a portable MiniDisc Walkman recorder shortly after, and we never really looked back. So, this evening, I dug the old tapes out, dusted them down and took their portraits. I sent them over to tapedeck.org, and perhaps they’ll appear in the archives soon.